Healthaid HEALTHAID HAEMOVIT Product #: SOM Price: Rs.1048.50 Rs.1048.50	Available from: SAVEONMEDICALS.COM In stock! Order now! 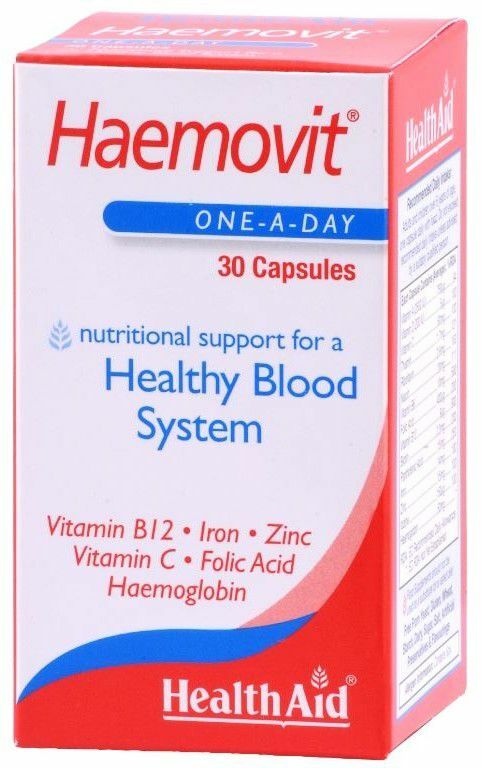 Haemovit Capsules combines Iron, zink, B12, B6, Haemoglobin and range of important nutrients to provide nutritional support for a healthy blood system. It helps maintain healthy red blood cell development and good oxygen circulation in the body. What is the frequency of use of HEALTHAID HAEMOVIT? Have you been prescribed HEALTHAID HAEMOVIT by a doctor? How do you rate HEALTHAID HAEMOVIT on price? Q1) Is HEALTHAID HAEMOVIT effective? Q2) What is the frequency of use of HEALTHAID HAEMOVIT? Q3) Have you been prescribed HEALTHAID HAEMOVIT by a doctor? Q4) How do you rate HEALTHAID HAEMOVIT on price? Q5) What is your overall rating of HEALTHAID HAEMOVIT?